Trails and Travelogues: "The Avenue of 444 Flags"
If you are in the vicinity of Hermitage, Pennsylvania, it can be easy to locate where this park is because of the striking view of the flags. Its actual location is at Hillcrest Memorial Park, in the city of Hermitage, Mercer County in PA. The memorial park has a picturesque 71-acre space with winding paths, where you can see monuments that reflect achievements and sacrifices of veterans of wars. 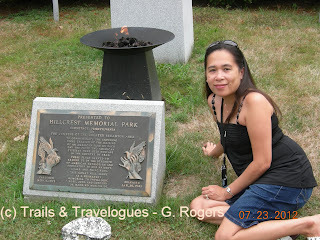 Instead of upright monuments, only flush bronze markers are used instead. Some call this park "444 Banners of Freedom", "The Avenue of Flags", or "The Avenue of 444 Flags." 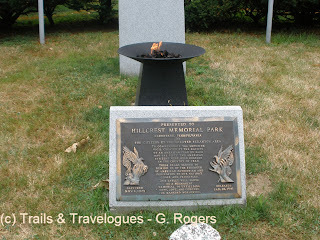 Many would perhaps know the park by simply mentioning Hillcrest Memorial Park too. 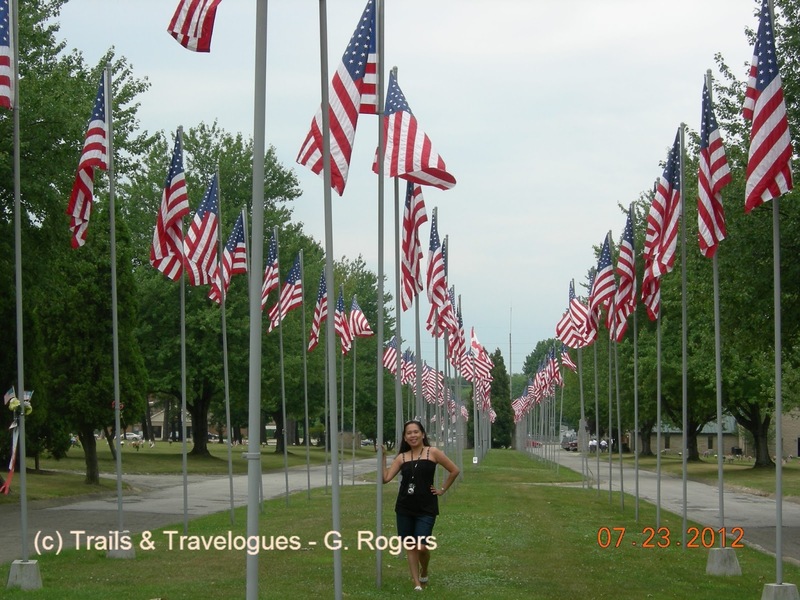 The avenue of flags was erected during the hostage crisis in Iran in 1979-1981 honoring the American diplomats that were held hostage. 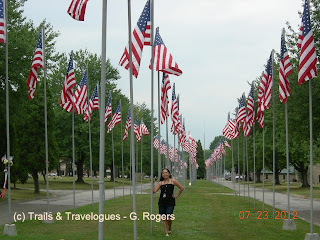 The crisis triggered a resurgence of patriotism in the US because of a hostage crisis for 53 US citizens that went on for 444 days, thus the 444 flags, with each one representing one day of captivity. 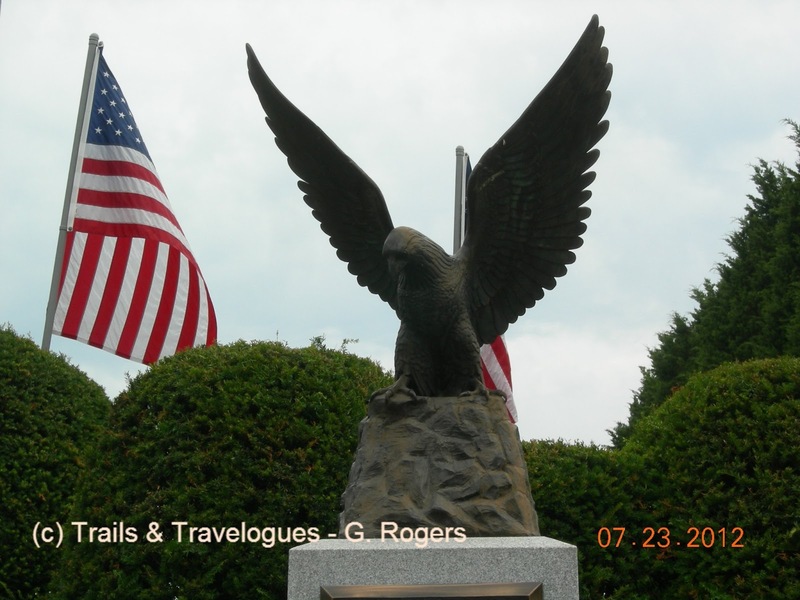 These flags then became the recognized symbols of American support for the hostages and the hope for their safe return. An eternal flame burns steadily in front of an erected monument dedicated to the 8 members of the US armed forces who gave their lives in the ill-fated attempt to rescue the prisoners on April 25, 1980. 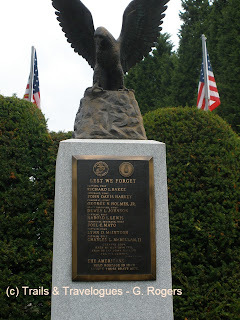 But those days of captivity finally were over and the hostages regained their freedom, but the memory of those fateful days with a fire of patriotism still live on. The park can be visited all year-round and is always open for public.